What Is Vitamin E? What Does Vitamin E Do? What's the Best Kind of Vitamin E to Take? Scientists discovered vitamin E back in the 1930's, when they were looking for a "fertility factor" that might explain why some lab rats had babies but others didn't. In the 80 years since the initial discovery of vitamin E, however, the importance of vitamin E is that this powerful antioxidant has been found to play a vital role in literally thousands of chemical reactions throughout the body—and the information about it gets to be a little overwhelming. Here's a quick summary of the three most important things everyone should know about vitamin E.
Vitamin E turned out to be a mixture of not just one but eight different chemicals. Over 99 per cent of the research on vitamin E focuses on just one easy-to-measure chemical, alpha-tocopherol, but over 99 per cent of the antioxidant activity of vitamin E in the body involves the other seven forms, beta-tocopherol, gamma-tocopherol, and delta-tocopherol, and alpha-tocotrienol, beta-tocotrienol, gamma-tocotrienol, and delta-tocotrienol. 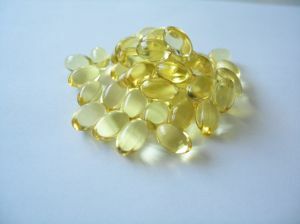 Natural vitamin E is more complete than synthetic vitamin E.
The prefix d- means the product is natural. The prefix dl- is a tip off that the product is synthetic. If it says "tocopheryl," it's been chemically modified to make it more shelf-stable, but that's not necessarily a bad thing. You need all eight forms of vitamin E for optimum health. Most Europeans get enough alpha-tocopherol, and most Americans get enough of both alpha-tocopherol and gamma-tocopherol, but the other forms of the vitamin may be deficient. Vitamin E recharges vitamin C. It really can't do its job if you don't get enough vitamin C. You need to get at least 60 mg of vitamin C (at a bare minimum) to really benefit from taking a vitamin E supplement, and up to 1,000 mg of vitamin C a day can be recharged by E.
What is the best kind of vitamin E to take? You are always better off taking a product that lists both tocopherols and tocotrienols on the label. Tocopherols may be changed to "tocopheryls" to make the vitamin last longer. Tocopheryl succinates are usually better for you in a capsule. Tocopheryl acetates are usually better for you in a skin cream. It takes at least 50 IU a day for cancer prevention. It takes at least 100 IU a day for prevention of heart disease. It takes at least 400 IU a day to prevent hardening of the arteries. It takes at least 1,200 IU a day to slow the progression of neurological diseases associated with aging. Up to 2,000 IU a day is usually considered safe. One of the confusing things about vitamin E is that it is not just one but eight different chemicals. Vitamin E exists as eight different naturally occurring, organic alcohols, alpha-, beta-, gamma-, and delta-tocopherol, and alpha-, beta-, gamma-, and delta-tocotrienol. These are the forms of vitamin E found in food. They are ready to go to work as soon as they are absorbed from the digestive tract into the bloodstream. But the problem with these fast-acting forms of vitamin E is that they sometimes begin their work even before they enter the bloodstream. These potent, natural antioxidants sometimes spend all their free radical fighting power dealing with conditions in the bottle, not the bloodstream. To prevent degradation of these forms of vitamin E in supplements, manufacturers make vitamin E esters. An ester is a chemical combination of an alcohol and an acid. A vitamin E ester is a chemical combination of a vitamin E alcohol, such as alpha-tocopherol, with a naturally occurring acid, such as acetic acid. Acetic acid, as you know, is the acid found in vinegar. Combining alpha-tocopherol and acetate from acetic acid creates alpha-tocopheryl acetate, one of 32 ester forms of vitamin E that are far more stable for long-term storage. Acetic acid is just one of a four naturally occurring, organic acids commonly used to make vitamin E esters. When manufacturers use acetic acid, they create vitamin E acetates. If they use succinic acid, the resulting products are vitamin E succinates. There are also vitamin E linoleates, made by combining one of the eight forms of vitamin E alcohols with linoleic acid, and vitamin E nicotinates, made by combining vitamin E with nicotinic acid. 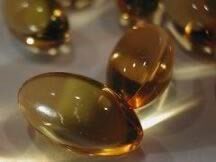 But vitamin E acetates and vitamin E succinates are by far the most common forms of vitamin E.
Stability is the objective behind the making of vitamin E acetates. When a vitamin E acetate is sealed in a capsule and the capsule is stored in the jar flushed with nitrogen, the supplement stays fresh and ready for use for years-until you open the jar! Most of the time, however, that jar of the best quality vitamin E capsules (not the kind you buy in a discount store) will contain vitamin E succinate, not vitamin E acetate. And there's a good reason. Vitamin E acetates go to work faster in the body, but vitamin E succinates build up reserves faster in the liver. Also, vitamin E succinate is a nice, white powder that can be mixed with other nutrients to make multivitamins. Vitamin E acetate isn't as "friendly" to other ingredients in a multivitamin capsule. Is all of this just a little confusing? Here are the five things you really need to know about the different forms of vitamin E.
The alcohol forms of vitamin E all have chemical names that end in -ol. They are very fast acting, but they are also very difficult to store on the shelf. That is why they are esterified to make chemicals with names that end in -ate, such as the transformation of d-alpha-tocopherol to d-alpha-tocopheryl acetate. The -ate form of vitamin E is stable in pills, capsules, and lotions. The acetate form of vitamin E acts quickly because it's easier for the liver to break down into the alcohol (-ol) or active form of the vitamin. Any chemically modified form of vitamin E, by the way, only works for you if you have good liver function. The succinate form of vitamin E is easier to mix with other vitamins. It is a little harder for the esterases (enzymes) in the liver and the rest of the body to break down into its original, active form, but it's also easier for the body to store. Milligram for milligram, your body releases more active vitamin E from vitamin E acetate than from any of the other chemically modified forms of the vitamin. And you get more active vitamin E from a natural, d- form of vitamin E than from a synthetic, dl- form of vitamin E. This means that d-alpha-tocopheryl acetate, the natural form of vitamin E that is chemically treated to make it shelf-stable is about 20 per cent more available to your body than dl-alpha-tocopheryl acetate, which combines vitamin E with "other stuff" that is made in a cheap manufacturing process. The form of vitamin E we know best is alpha-tocopherol. As the ending -ol hints, alpha-tocopherol is an alcohol. It's easy for an alcohol to evaporate out of a container, and it's hard to keep an alcohol from combining with other compounds, even the lining of the bottle it's kept in, that change its nutritional benefits. Changing alpha-tocopherol into d-alpha-tocopheryl-succinate protects its antioxidant potency and greatly extends its shelf-life. Here's why. Stability is the reason the tocopherol form of vitamin E is changed to the tocopheryl form form of vitamin E by manufacturers. The alpha-tocopherol, beta-tocopherol, and gamma-tocopherol forms of vitamin E are the forms found in fresh food. As long as the foods hasn't gone bad, these alcohol forms of the vitamin can go right to work providing antioxidants to keep various chemical reactions inside the body in balance. But as you probably know, you can't keep the foods that are especially high in these forms of vitamin E, like leafy greens and egg yolks, fresh and nutritious for more than a few days to a few weeks, even with refrigeration. These forms of vitamin E have to be transformed to keep them stable. The alcohol forms of vitamin E are chemically combined with a naturally occurring acid to make an ester. The ester is stable in capsules, pills, and creams for months or even years. Alpha-tocopherol, beta-tocopherol, and gamma-tocopherol can be combined with acetic (vinegar), succinic (sugar), nicotinic (vitamin B), or linoleic (healthy plant oil) acids to make various esters, which are nothing more than the chemical combination of an alcohol and an acid. Different esters have different applications. Nicotinate and linoleate esters are used for making face creams. The most stable form of vitamin E for vitamin E capsules is the succinate ester. The ester form keeps the vitamin from combining with oxygen that gets into the capsule and keeps it fresh. But it also slows down the rate at which your body can use the vitamin E.
Acetate esters of vitamin E are more easily absorbed by your body. They also go bad in the bottle. Succinate esters of vitamin E take a little longer to build up in your body, but they stay fresh in the supplement jar for years at a time. And a form of vitamin E known as d-alpha-tocopheryl polyethylene glycol 1000 succinate is a form of vitamin E that acts like a healthy fat, gathering up various antioxidants and other vitamins and keeping them in your bloodstream. But it's enough to know that the reason you need a succinate form of vitamin E is that it will stay good on the shelf for a very, very long time, far longer than other forms of the vitamin. There is one special application of vitamin E succinate: Cancer treatment. Dr. Kimberley Kline of the University of Texas at Austin and Dr. Kedar Prasad of the University of Colorado believe that the succinate form of vitamin E is somehow especially fast to be absorbed by cancer cells. This is especially true of breast cancer cells. Neither the alpha tocopherol part of the molecule nor the succinate part of the molecule has any effect on cancer cells on its own. It is an overstatement to say that when cancer cells are treated with vitamin E succinate, tumor dormancy results. But both experts recommend taking vitamin E to prevent cancer and Dr. Prasad also recommends vitamin E for cancer treatment. If you choose to take radiation therapy for your cancer, however, ask your doctor about taking vitamin E. You don't want to invigorate your cancer cells, protecting them against radiation, at the same time you are taking a radiation treatment! Vitamin E and Diabetes - What is the relation between vitamin E and diabetes? Vitamin E and Heart Disease - What are the benefits of vitamin E in heart disease? Vitamin E Foods - What are the best sources of foods rich in vitamin e? Vitamin E Supplements - How to choose best vitamin E supplement for your health condition? Vitamin E and Cancer - Is vitamin E effective in cancer prevention and treatment? Benefits of Vitamin E - Facts About Vitamin E. What are the health benefits of vitamin E? Vitamin E and Selenium - What is the role of vitamin E and selenium in fighting cancer. Vitamin E Benefits for Men - What are the health benefits of vitamin E for men? Vitamin E Benefits for Women - What are the benefits of vitamin E for a woman’s health? Vitamin E for Skin - What are the benefits of vitamin E on skin? Vitamin E Oil - Vitamin E is one of the most popular cosmeceuticals for rejuvenating wrinkled skin. It is the most important ingredient in wrinkle creams specifically formulated for dark skin.How does vitamin E help skin? Vitamin E Side Effects - Can you take too much vitamin E? What are the side effects of using too much vitamin E? What is the recommended dosage? Risks of vitamin E deficiency?